is a Houston based corporation which has been providing safe, high-quality service to customers across the United States for more than 25 years. Clark affiliated companies have furnished these same services since 1963 while retaining many of the same customers for this entire span. 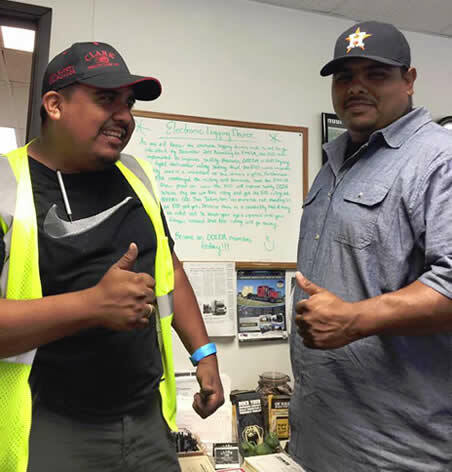 We are proud that many of our drivers, along with their sons and other family members, have been a part of Clark for decades and their service still endures. Become part of our family! With professionals who know what it's like to live behind the wheel of a truck, Clark Freight understands the challenges you face all too well. At Clark, we know what it takes to succeed -are you ready to become part of that success? Lighter Trucks - These trucks, on average, are 3,000lbs lighter than comparable trucks. Super Single Tires - Approximately 800lbs lighter than duals when combined with aluminum wheels. 84k Permits - Each truck is equiped with 84k permits. Along with being a leader in intermodal trucking, we also provide a diverse range of services to shippers across the country. 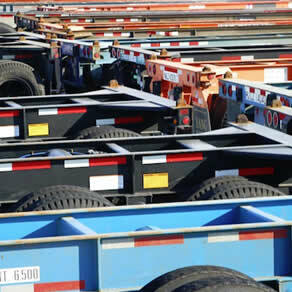 We also maintain a wide array of intermodal equipment to supplement and support our customers needs to ensure that their freight can be moved timely and efficiently. 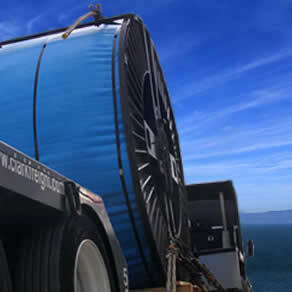 If your load is time sensitive, hazmat, or has temperature controlled needs, you’ve come to the right place. Safety at Clark is paramount! With Several generations of drivers from same families working with us, we feel that our drivers are the best and have demonstrated the highest level of professionalism from generation to generation. 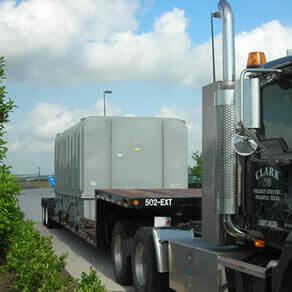 Clark Freight Lines, Inc has a Safety First approach to everything we do. Nothing is left to chance. 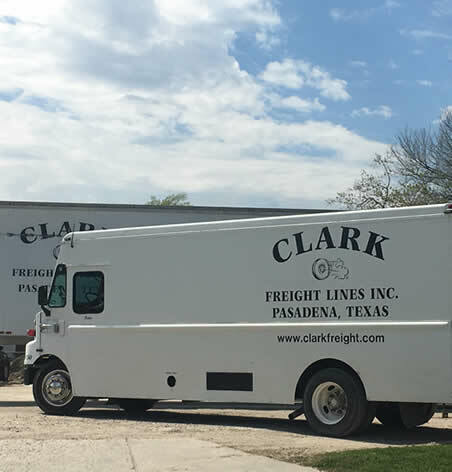 Our Safety Team reviews and maintains a constant up to date knowledge of the U. S. Federal, State, and Local Regulations to ensure everyone at Clark Freight Lines, Inc are kept current with the regulations. We also review the latest products, methods, and equipment that becomes available that we feel will improve our ability to perform the job Safely and efficiently and provide a better product for our customers. Our Safety Team provides training for everyone that works with, contracts with, or is in need of the training to maintain a current knowledge of the regulations and the latest equipment. What ever your vision is - we have just the right thing. Feel free to run local, regional, and over-the-road - what ever you want, when you want. The only limits and boundaries are YOU! Become part of the family. With professionals who know what it's like to live behind the wheel of a truck, Clark Freight understands the challenges you face all too well. At Clark, we know what it takes to succeed -are you ready to become part of that sucess? If you have a stable work history, good driving record, and at least 3 years of verifiable experience, we'd love to hear from you. 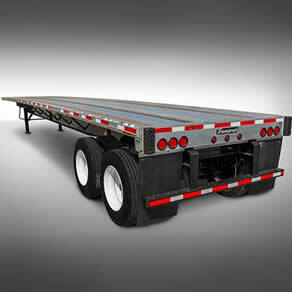 What do you like to haul -Flatbeds? Vans? 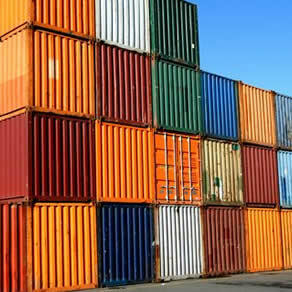 Containers? 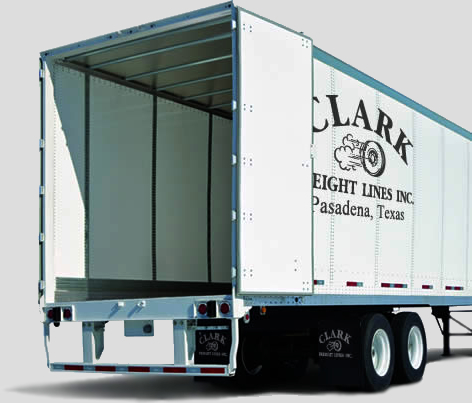 At Clark Freight Lines, we have a diverse range of equipment, freight, and services for you to choose from. In the neighborhood? Stop in and visit with us at one of our terminals. We'll be glad to talk with you and answer any questions you might have. 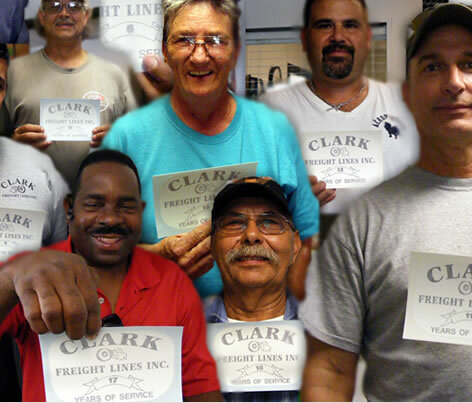 At Clark Freight Lines, we're proud of the work our drivers do for us and our customers. 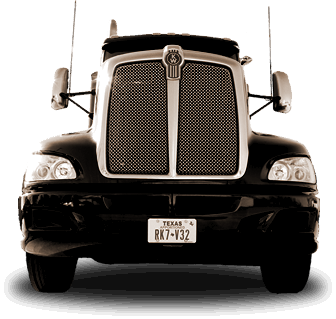 We have drivers with us that are second generation within their families as a driver or owner-operator at Clark. Additionally, we have multiple brother / cousin relationships where good drivers come to work at Clark and stay; and even bring others with them. Whatever your career goals are, Clark Freight has an opportunity for you. If the open road is calling your name, and mileage is your game, we have just the thing for you. We pickup and deliver across the United States daily. Do you like the open road, but don't like being far from home? Have the best of both worlds! 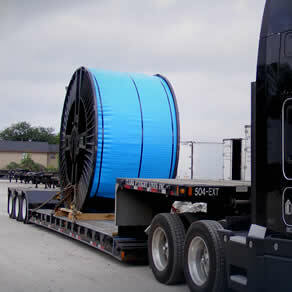 Our regional loads are serviced out of our terminals in Pasadena, TX, Birmingham, AL, and Nashville, TN. We can get you out and back in no time. Do you prefer to be home every evening? Our local fleet operates Monday through Friday and even on the weekends when needed. The great thing about being a local driver is that you're home every evening! US Fleet - Average Miles are 100,000 to 120,000 a year! We are confident that our compensation and benefits package will appeal to you. If you have any questions, please contact us -we'd be delighted to answer any questions you might have. Only those driver applicants with 2 or fewer chargeable motor vehicle accidents within the past 3 years will be considered for employment / lease. Because of our commitment to safety, the company will not consider driver applicants who fail to meet the above standards. 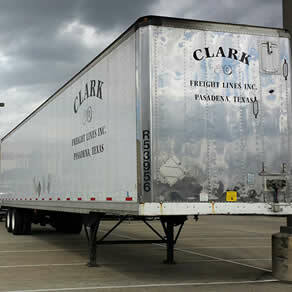 Clark Freight Lines Inc. has a no tolerance policy regarding drug and alcohol related incidents and will not consider for employment / lease, any driver applicant convicted of any offense involving the operation of a motor vehicle while impaired by drugs or alcohol. Applicants will also be required, because of experience, training, or both, to be able to Safely operate a Clark Freight Lines Inc. Vehicle Determine and Execute proper cargo securement procedures. Although it is not required, it is highly encouraged that All driver applicants possess a Hazardous Materials Endorsement (H) and a Tank Endorsement (N), or both (X) on their driver's license. All drivers must keep their Hazardous Materials Endorsement (N). All driver applicants must not have any restrictions that limit them to Intra- State only (Restriction M). Many drivers cannot pass these requirements; our standards are high and make reruitment difficult. 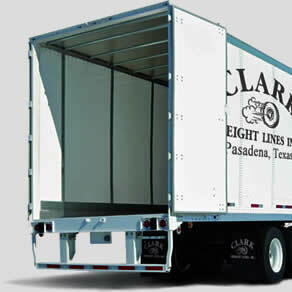 Only the best belong at Clark Freight Lines Inc. We hope you understand. Without professional drivers, we cannot provide our customers with the level of service they have come to demand from us. Determine and Execute proper cargo securement procedures. Our tractor fleet is made up of, conventional, air-ride Kenworth T-600's. There is no slip-seating. All tractors are high rise sleepers with 13 speed transmissions. Tractors are equipped with jake brakes. Average tractor age is under two years. Heated/power mirrors, custom interiors and power windows are standard. Most engines generate 427-450 hp at 2100 rpm. Cruise control is standard. Tractors are equipped with AM/FM cd radios with CB hookups. Contact Us - Drop us a line. Whether you need a rate, proof of deliver, or just need to contact us -we would love to hear from you! Stay up to date with our day to day happenings and get a great, intimate look into who we are as the family of Clark Freight Lines, Inc. by following us on one or all of our social media outlets. We happily share our Fun Fridays, Driver Appreciation Week, Company parties and Driver Recognitions and accomplishments, as well as post important safety tips and important need-to-know information regularly. © Copyright 2016, Clark Freight Lines Inc.